Vijay | Actors who got the Madras slang right ? 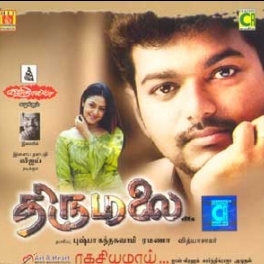 Vijay played a mechanic in Thirumalai. Mechanics talk the best of Madras slang. Vijay's take on the dialogue brought in a different flavor of the accent through this movie. The best taglines from recent movies ! Vijay's Kaththi will thrill you ! "It would be nice if Ajith and Vijay come together in a film now"
ILAYATHALAPATHY or SUPERSTAR – Which one does Vijay prefer? How does Ilayathalapathy Vijay maintain his looks? Will Santhanam strike the Ilayathalapathy effect? This page hosts a weekly slideshow related to Tamil movies. Each slide includes a picture and some description about that picture. All the slides will have a recurring theme. People looking for actress stills, actress images, actor stills, actor images, movie stills, movie images, and other interesting topics, relevant issues in Tamil cinema will find this page useful. Vijay | Actors who got the Madras slang right ?.